The UKCRC TDCC is the UK’s node within BBRMI-ERIC; we can also, therefore, be referred to as BBMRI.uk. This membership means we are part of a much larger European effort and as a result the services BBMRI develop are available to UK Biobanks. We are initiating our own BBMRI.uk network and there are two services that have now reached a level of maturity that they can be offered to you. 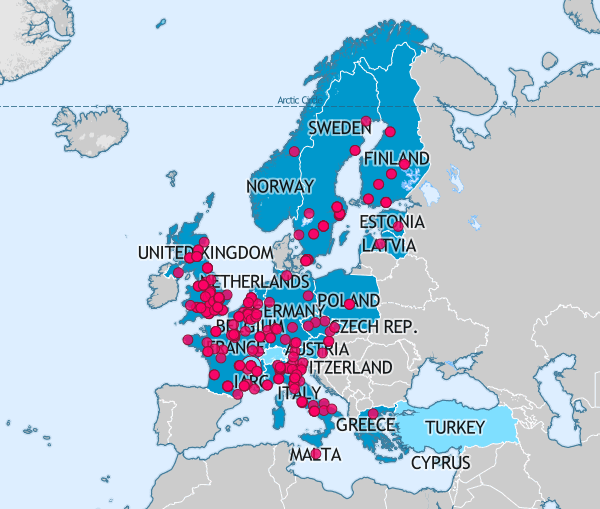 All biobanks in the UK are loosely associated to BBMRI when registered in our Directory. At this time all biobanks will have access to the services and tools developed by BBMRI. There is, however, a growing need for this association to mean something. BBMRI have created a Partner Charter that is a way for biobanks to indicate a willingness to work together and develop common practices and standards. By agreeing to the partner charter, you will become a more formal BBMRI-ERIC biobank that will ensure you retain access to the services and also be applicable to receive funding from BBMRI should they receive H2020 funding. Please get in contact if you agree to the high level objectives of the Partner Charter and are happy to be named as a BBMRI.uk biobank. If you are currently registered in the UK Directory and if you have not opted-out of your profile being shared, we automatically include your information within the BBMRI-ERIC Directory. The IT Common Service of BBMRI-ERIC have created another tool called the ‘Negotiator’. At the moment this is connected to the BBMRI-ERIC Directory so that when a researcher undertakes a search they will have the option to contact the shortlisted biobanks and discuss the requirements in more detail. In the coming months, this functionality will also be added to the UK Directory. For those Biobanks who are currently in the BBMRI-ERIC Directory you will receive details from BBMRI-ERIC about how to create an account and start receiving requests. This is likely to begin from mid-August 2017. This is optional and if you do not want your profile in the BBMRI-ERIC Directory change your settings in the UK Tissue Directory . The Quality Common Service team have been working on a self-assessment tool to enable you to assess your collections against CERN standards (see list below). To take part in the self-assessment you will have to purchase the relevant CERN standard from the British Standards Institution. The advantage, however, is that if you complete the self-assessment this can be flagged in the BBMRI-ERIC and UK Directories. Many of the activities within BBMRI are open for comments and direct participation. If you would like to get more involved then contact us. This entry was posted in News, Resources and tagged bbmri-eric, BBMRI.uk, charter, Directory, Negotiator. Bookmark the permalink.